Planning a trip to Berlin next year? Interested in or even coming specifically for the Luther celebrations? Here’s something you don’t want to miss: Three special exhibitions at three distinct locations in Germany. Beginning in April/May and on until November 5, 2017. The website, called 3xHammer.de, makes reference to the hammer Luther used to nail his 95 theses onto the church-door of Wittenberg castle on October 31, 1517. “Hammer” in colloquial German also signifies impact as in the expression “Das ist der Hammer!” meaning “That’s really great/powerful”. A pun unfortunately lost in the English translation. Site one is in Berlin, organized by the German Historical Museum. It is named the Luther Effect and focuses on the impact Reformation had during five centuries and on four different continents. The venue of this exhibit is the Martin-Gropius-Bau, usually used for temporary exhibits, situated right next to the Topography of Terror exhibit in the centre of Berlin. Site two is in Wittenberg, the town where it all happened, where Martin Luther worked as a professor at the local university. Called Luther! 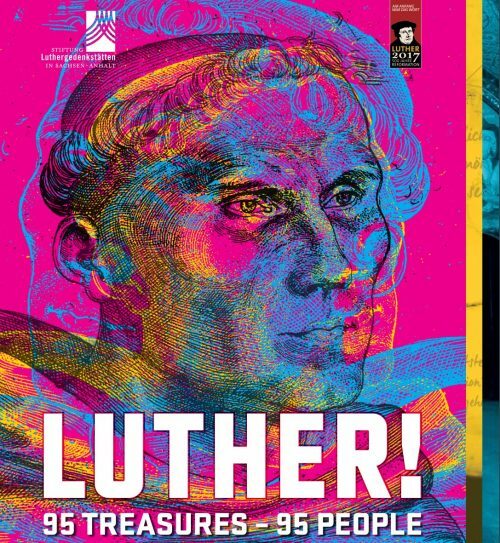 95 treasures – 95 people this exhibition focuses on artifacts related to Luther and the reformation process, as well as 95 individuals who were strongly influenced by it. The exhibition is located in the Collegium Augusteum, the building right in front of the Lutherhaus, the place Martin Luther lived with his family for some 35 years. Wittenberg is about an hour’s drive south of Berlin, so it can be easily managed with a limousine day-trip. With all the sites in Wittenberg, you can easily spend an entire day there. If your interests are broader however, you can combine the trip to Wittenberg with a visit to neighboring Dessau featuring the famous Bauhaus Museum as well as many examples of Bauhaus architecture, or a with a stroll through the Garden Kingdom of Dessau-Wörlitz, a world heritage site. Site three is a little further off, in Wartburg castle near the town of Eisenach. It is here that Martin Luther took refuge after being ostracized by the German Diet in 1521. This is also the place where he began translating the New Testament into German, thus laying the ground for a standardization of the German language. Hence this exhibition is called Luther and the Germans and focuses on the Wartburg as a historical site and on the cultural and political impact of Reformation in Germany. Eisenach is a three and a half hours’ drive from Berlin. DriverGuides.berlin will gladly assist you in planning a comprehensive trip to Eisenach.